Love this photo of Kilimanjaro from the International Space Station surrounded by clouds. 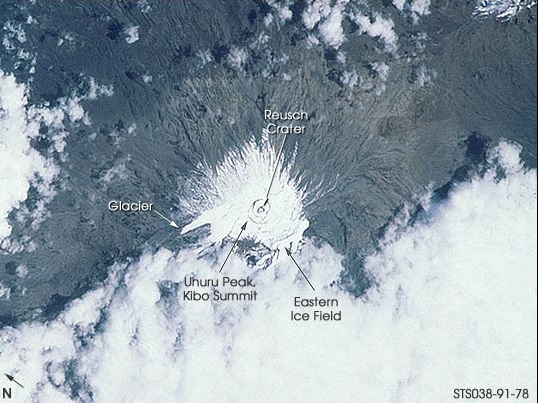 The photo center point is 3.0° S, 37.5° E. Notice the substantial loss of snow around the summit as compared to yesterday's post with a photograph from November 1990 taken from the Space Shuttle. 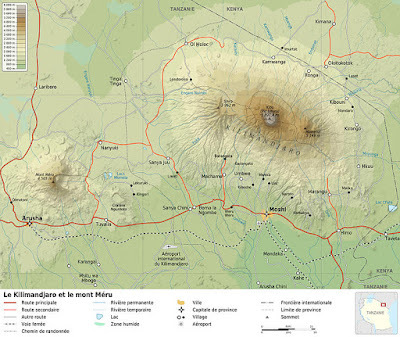 Photo of Mount Kilimanjaro from the International Space Station taken July 2001.